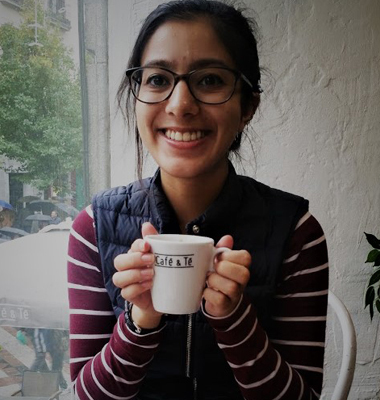 MSc Health Psychology student Karen Johal shares a typical week for her as a postgraduate student at Surrey. The following timetable is a personal example - for the latest module information, visit the MSc Health Psychology programme page. 1pm to 2pm - Lunch time! The mushroom risotto at Wate’s House is indulgent! 4pm to 5pm - Nibbles after the seminar to ask the guest lecturer questions and a quick run to Lakeside for coffee and a croissant! "Wednesday, Thursday, Friday are open days! I pre-register for the SPLASH workshops tailored for Master’s level students. I’ll usually have a group meeting during one of these days to work on an assignment. These days are also great to meet with professors, clarify course material, or ask for extra guidance. As a postgraduate student, these days (and the weekend honestly) are rife with schoolwork. like to keep my study areas varied, so I’ll study at the library or find a place in town to work (Surrey Hills Coffee is my go-to spot). "I’m course rep, so I make sure to talk to as many of my course mates as possible to see how classes are going and if there are any concerns." "The schedule of classes allows me to get involved with campus activities and explore Guilford and beyond. I’ve enjoyed attending the lunchtime recitals at 1pm on Wednesdays, it helps break up my day of studying. I also find the plays put on by the GSA, UK’s top acting school, to be a great evening out with high-quality work produced by the students. I’ve joined the Harry Potter Society on campus and have enjoyed getting to know people from other departments and academic backgrounds. "As an international student, traveling is a priority to me as well as my studies. London is a quick, scenic train ride away, so I try to take advantage of the proximity by finding new cafes where I can study. The Department of Coffee and Social Affairs is one of my favorites! I also have some flexibility to travel further, and with Gatwick Airport so close and flights so affordable, you really don’t have a reason to say no! I’m able to plan ahead and have a weekend free at least once a month to travel - so far I’ve only been to Spain, but more adventures are on the way!" Learn more about our psychology degrees, including our MSc Health Psychology.